As you have probably figured out by now, I love to read. At any given time I'm working my way through several books. My latest book, arrived this past week and I was so interested in it, I have to say I read through it (meaning not every single prayer but all the other goodies) in ONE DAY! I'm not ashamed to admit, I LOVE Mother Love! It's a vintage book written in 1926. So we are talking pre-Vatican II here. You can imagine how many hidden treasures on in this book! What do I like about it? Well there are several things that really spoke to my as a mother as well as something on this homeschooling journey. This book is separated into 5 different parts. 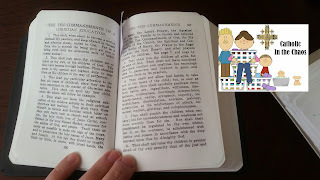 Part 1 provides chapters on Morning Prayers, Night Prayers, the Holy Rosary and, my personal favorite chapter, Points of Doctrine (which provide the quick and dirty basics every parent should teach their children such as: the 10 commandments, the 6 precepts of the Church, the Holy Days of Obligation (a few are different now but still cool to see what they did in '26), 7 sacraments, 7 capital sins and their virtue counterparts, the 7 gifts of the Holy Spirit, 12 fruits of the Holy Spirit, the Beatitudes, the Corporal and Spiritual works of mercy, and the 6 sins against the Holy Spirit. 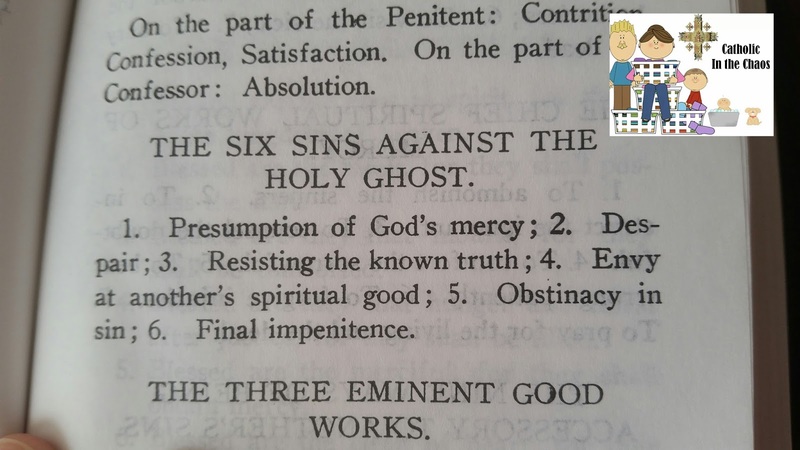 (Um, who knew there were six? There they are in the picture by the way!) In that section there are many more simple straightforward goodies of our faith and I just LOVE it! Clear, concise and to the point! 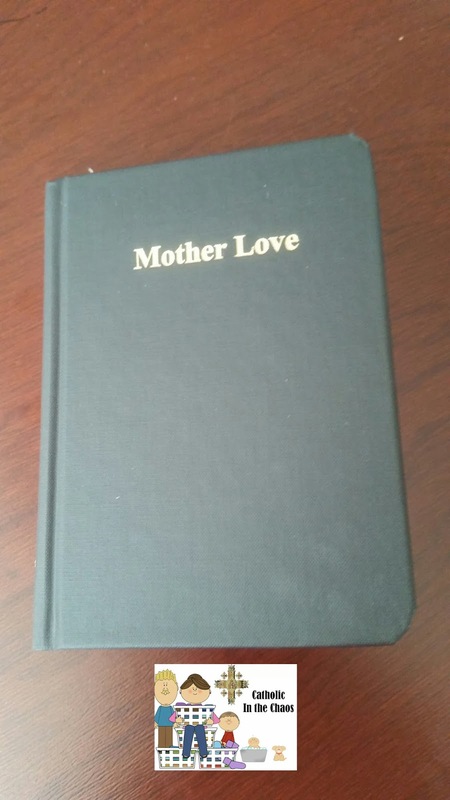 Part 2 is chock-full of various kinds of traditional prayers: prayers for mothers, prayers for their children, prayers for your child's vocation, prayers for a happy delivery, prayers for the new born, prayers for the conversion of a child, prayers for sick infants/a sick husband/sick grown child/sick relative, and maybe the most important section, prayers for the dying. My Favorite Part of this Book: The Ten Commandments of Christian Education. This topic being so near and dear to my heart as a homeschooling mom! Part 3 provides prayers to various saints. 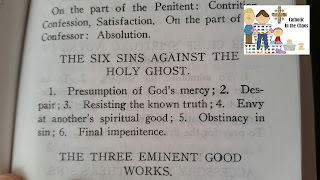 Part 4 offers a plethora of information regarding indulgences, and prayers one can say to receive plenary or partial indulgences. Word of caution: I am not an expert in this area therefore I would recommend looking up the current list of indulgences to cross reference and determine which are still current. But the prayers themselves are still so beautiful and worth praying! Part 5 discusses the information relevant to the Confraternity of Christian Mothers. I am not sure if this group is even in tact currently but still reading through the recommendations and advice gave me some new thoughts on how I can help other mothers. The very LAST chapter in this book is called Little Book Of Instructions, and will probably be the chapter you LOVE or HATE the most. I read it, keeping in mind these are instructions written for mothers back in 1926 and found it both historically fascinating and, if I'm being perfectly honest, the feminist reel in my head was a bit irritated by some of the comments. Why would I read it? How could it be relevant? Well, for me, I found there were some tips that I could use and some that would not fit in the parenting style of my family. My rule of thumb: take what works and leave the rest. And so there you have it! 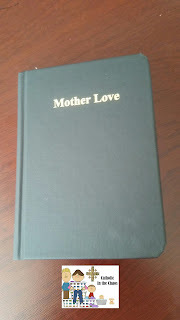 A quick look into my new favorite prayer book, Mother Love. It's a must have book in my list of prayer books and one I'll be carrying around with me to adoration. The treasure trove of prayers alone make it priceless to me. You can purchase it at the link shared.